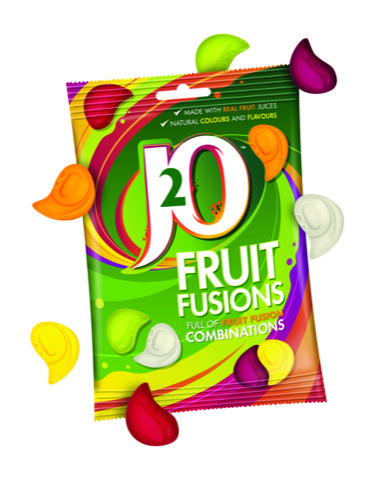 Honeycomb has designed the packaging for soft drinks brand J20’s new Fruit Fusions sweets. Project management company Honeycomb developed the brand as a licensee of Britvic, which owns J2O soft drinks. It was approached by Britvic to develop the sweets range and design the packaging on the strength of previous projects for Britvic, including work on Fruit Shoots and Robinsons drinks. The pack designs are based on brand guidelines created by Blue Marlin, which rebranded J2O in 2009, and refreshed the branding again in 2011, when it worked on packaging projects including designing the bottles for a Christmas variant that contained edible gold glitter. The teardrop-shaped gummy sweets slot together to form a whole, which Mitchell says references the idea of J2O as a ‘blend’ that combines two separate elements to make something that tastes better than the individual parts. 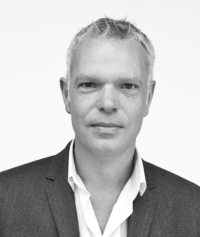 Fruit Fusions are aimed at an adult market, says Russell, so packaging designs look to create a more ‘premium feel’. Looks good but I do think of rowntrees fruit gums when I see it .